In Martin Scorsese's latest film, Hugo, two French children from the 1930s explore the earliest days of cinema as they uncover the secret past of a train station toy peddler - the young girl's godfather - whom she calls, "Papa George." Although Hugo is a work of fiction, from an award winning book by Brian Selznick, called The Invention of Hugo Cabret, there really was a "Papa George." He was George Melies, and he really was a pioneer from the earliest days of cinema. In fact, he is considered the father of film special effects, having invented many of the tricks that are still used today, and was the first filmmaker to send men into outer space. This sometimes forgotten cinéaste was a true giant in the earliest days of the medium. In a career that lasted just 16 years, from 1896 to 1912, Melies made over 500 films. In the excellent website Who's Who of Victorian Cinema, film historian David Robinson credits George Melies as the cinema's first true artist, and the most prolific technical innovator of the early years. He was a pioneer in recognizing the possibilities of the medium for narrative and spectacle. 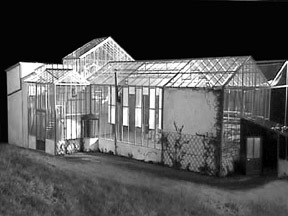 He created the basic vocabulary of special effects, and a few years after Thomas Edison had built the Black Maria film studio, Melies built a glass-house studio, which proved to be the prototype of European studios of the silent era. The success of his films contributed to the development of an international market in films and did much to secure the ascendancy of French cinema in the pre-1914 years. Besides this historical contribution, Melies' films are the earliest to survive as a total, coherent artistic creation with their own validity and personality. His films had a visual style as distinctive as any French painter, and they retain a sense of fantasy, fun and nonsense whose exuberance is still infectious after a century. Melies was the third son of a successful shoe manufacturer. Although his father expected all his sons to follow in the family business, young George had an artistic temperament from an early age. As a young man he briefly entered the family trade and worked with the shop machinery, developing mechanical skills that he said proved very useful in his film career. "I was born an artist in my soul, very skilled with my hands, capable of inventing things and a comedian by nature. I was at once an intellectual and a manual worker." Besides his interest in the visual arts of drawing, caricature, painting, and sculpture from childhood, he was also interested in music and poetry, believing he would become a poet himself. But his father was convinced that poets and artists can only starve. He was sent to London in 1884 to perfect his English and there he discovered stage illusion. He became very interested in magic and apprenticed with a magician. When Melies' father retired, George sold his share of the footwear business to his older brothers and bought the famous, but rundown, Robert-Houdin Magic Theater. In addition to the theater itself, the stage mechanisms and the automatons came with it. (It is one of the automatons that plays a central role in Scorsese's film Hugo.) Over the next 10 years Melies created at least 30 illusions for the theater, many of which he later recast into motion picture effects. In 1894 the first Edison Kinetoscopes came to Paris. Thomas Edison had invented a device capable of recording moving pictures, but the Kinetoscope (as readers of this booklet know, the camera was called the Kinetograph and the viewer was called the Kinetoscope), was basically a peep show device in which a single viewer watched short films arranged in a loop housed in a wooden box. Melies was not very impressed with the Kinetoscope, and felt the images "somehow had to come out of their wooden box," otherwise the experience was limited. Apparently, two brothers named Auguste and Louis Lumiere felt the same way. By 1895 they had invented a camera that could, with some modification, function as camera, projector and printer. The Lumieres called their device the Cinematographe, and they held the first public screening at the Grand Café in Paris on December 28, 1895. George Melies was at the Lumiere brothers screening and immediately realized the machine could be a very useful adjunct in his arsenal of magic tools. However, when he attempted to buy or rent a machine from the brothers, Antoine Lumiere, their father (possibly fearing competition), told Melies that this was a serious device for scientists and researchers, and could not be used for entertainment. Melies was forced to go to England and purchase a projector from Robert Paul. He and another engineer modified the projector and turned it into a camera. 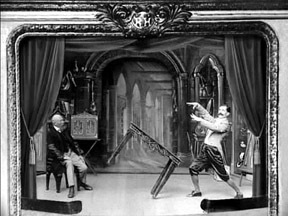 Melies immediately started making his own films with the aid of another projector in 1896. By the following year he was making his own films under his trademark "Star Films" logo, and he built his own studio to help create the film tricks he would become famous for. 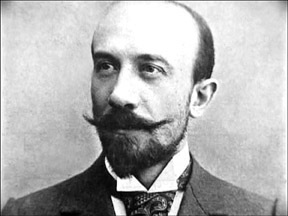 Although Melies would become best known for his fantasy films and his special effects, his total output is astonishing. He made news recreations such as the Dreyfus Affair and The Coronation of King Edward VII. He made documentaries, comedies, topical satires, social tracts, and he examined historical subjects. He even pioneered in the use of color films by having many of his films hand tinted. But, of course, he is best known for his "trick" films utilizing special effects that he invented and his followers merely adapted and modified. He often related the story of how his first special effect, substitution, was discovered. He claimed that this effect, which was to be so basic to his work, was discovered one day in 1897 when his camera jammed while filming in la place de l'Opera. Melies worked for a full minute to free the jam and during this time the scene had changed. When the film was printed and screened, Melies was thrilled to find that a motor bus had changed into a hearse, and men became women. He realized that this trick was a more effective means of producing the disappearance of a lady than the elaborate machinery of his stage illusions. In addition to clients from the various fairgrounds near Paris, Melies also screened his films at the end of his stage shows in the Robert Houdin theater. The Vanishing Lady, his first film with special effects, was an exact reproduction of a famous trick by another magician. It required a number of elaborate props to have a lady underneath a shawl disappear after a magical incantation. Melies realized he could do it very easily on screen by the use of substitution, namely, by stopping the camera just after he placed the shawl over the woman. The woman exits the stage and Melies starts the camera back up. When he screened the film for the audience it appears as if the woman had vanished. Melies said that his fairground clients were worried that the public would grow tired of "military marches," and "feeding the baby." They need not have. Melies fantasy films, featuring special effects of all kinds, went way beyond "feeding the baby" and such. His films developed a worldwide reputation in a very short time. We must remember that we take all kinds of film special effects for granted in our own time, and in fact many of the latest generation of filmmakers are not even aware that films at one time were shot on "film" (many still are). This is especially true because digital processes allow filmmakers to do special effects fairly easily, although complicated special effects are still complicated. But for Melies and the turn-of-the-century filmmakers, special effects were always complicated. Melies experimented with many type of effects in his career, including models and miniatures, fades and dissolves, time lapse (accelerated motion), reverse action, and multiple exposure. The latter were often filmed on a black background because anything filmed with black is essentially unexposed. Melies especially used multiple exposures to impressive effect in The One Man Band (1900). In this film Melies plays the same musician multiplied seven times. This necessitated the film running through the camera seven times and being rewound seven times, all while in-camera. Melies calculated which frame he was on by the number of times he cranked the camera mechanism (cameras were hand-cranked; it would be another 25 years before electric motors appeared). Film stocks were not equally sensitive to all natural colors, so sets were painted in gray by the set designer - Melies himself. Because he was such a gifted artist his sets were fantastic, eye-popping creations, although even he admitted they looked very bizarre painted in shades of gray. He did experiment with color effects by having some of his films tinted in color. This required every film to be hand painted with colored dyes, a painstaking process performed by a small army of mostly female artists. Fortunately, this was something that Melies did not do himself, although he oversaw the process. 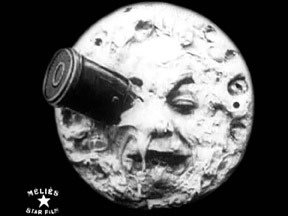 In 1902, Melies made A Trip to the Moon, which became his best-known film. The film was inspired by novels by Jules Verne and H.G. Wells. One of the criticisms of Melies is that his films lack a dynamic narrative in the sense that D.W. Griffith made use of film narrative, with his varying close-ups, longshots, different camera angles, etc. But if you examine A Trip to the Moon you will see a definite narrative; there are a sequence of scenes which combine to tell a story, though the shots are certainly primitive compared to D.W. Griffith. 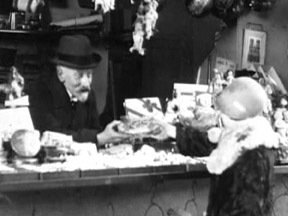 Through the film's great popularity, Melies learned that his films were being duplicated illegally in the United States. Although he began to copyright his films in America, it still was relatively easy for someone to buy a couple of prints and then duplicate the print hundreds of times to make illegal copies. Thus we can begin to see the downfall of "Star Films." Melies and Star Films reached their peak in popularity and significance between 1902 - 1905. By this time, however, Melies painstaking production methods were no longer viable. He controlled every aspect of production, in front and behind the camera; he devised the effects, designed the costumes, painted the backgrounds, hired the actors (and usually played the lead role in all his films), developed and edited the films, and negotiated their distribution. His methods were outdated and so was the style of his films. His main competitor in France, Charles Pathe, who came to the film industry as a manufacturer of film and phonograph equipment, viewed him as an artisan whose "art" had no place in the new mass production methods of the film business. But, George Melies' films began to look outdated. Since many of his trick films required a static camera, and because of an unvarying camera angle which always tried to duplicate the middle seat, middle row of the Robert-Houdin Theater, there is a certain "sameness" to his films, despite the incredible variety of the mise-en-scenes. He refused to have a partner and began to lose money. 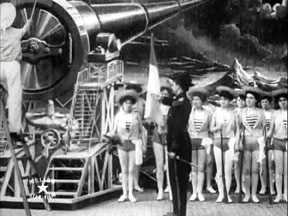 His last year in production, 1912, featured an ambitious project called The Conquest of the Pole. He designed and built an animatronic-type creature about 100 years before animatronics became commonplace in effects films. However, The Conquest of the Pole was not a success. Melies closed up shop. World War I brought other troubles. His wife had died in 1913 and his brother Gaston died in 1915. The Theater Robert Houdin was closed by the war and eventually swept away by urban development. Melies turned his studio into a theater. but by 1923 that too had failed and the property was sold, along with the scenery, props and costumes from the films. About the same time, with nowhere to store them, he burned all of his negatives. Now penniless, he married his former actress and longtime mistress Jehanne d'Alcy. They lived from the proceeds of a tiny boutique selling toys and novelties on the Gare Montparnasse. This is recounted in the film Hugo, and in the film - and in real life -- Melies is rediscovered by a new generation of film enthusiasts. Eventually he and his wife were given a place in the home for cinema veterans at the Château d'Orly, where he spent his final days seemingly contented, still drawing, reminiscing and occasionally performing little conjuring tricks. Film history remembers him as the first master filmmaker. Even though his films are over a century old, their sheer exuberance and inventiveness are still a source of delight and wonder. As Abel Gance said, "Melies was a great poet."